à table! (Diner’s ready! in English) is an exploration game built on the Ethereum blockchain. 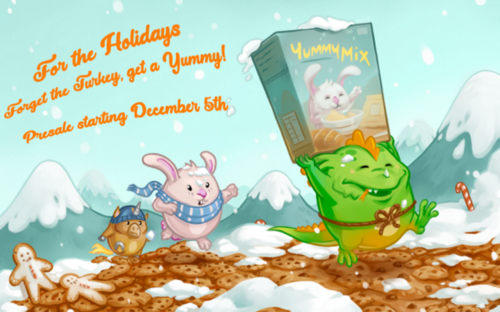 The gameplay is set in a fun and whimsical food world that can be explored by lovable and tiny creatures called «Yummies.» Their body parts are made of different kind of food and food-related items. Yummies are ERC-721 tokens published by BitCrystals, EverdreamSoft’s blockchain publishing branch. They will be sold for Ether (ETH).